The Bumling Light. The manufacturer and all of it's distributors will not ship to the US. Ever! I guess I'll just have to take a trip to Sweden to get it! A perfect setting for this light would be the kitchen below. 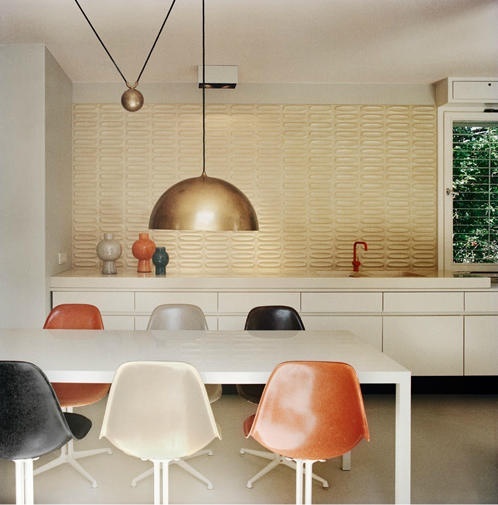 Love the mix of Heath tiles, mix and match fiberglass Eames chairs and the faded red accents. 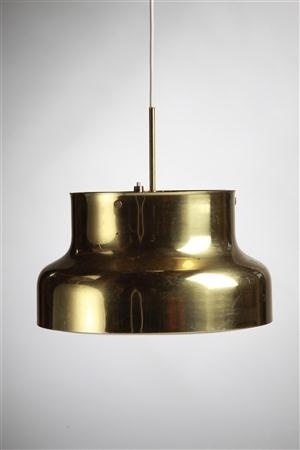 MLDC's blog is a place to post some exciting design findings. Let me know what you think!